The January blues have definitely set in for me! I've just come down with a terrible cold that's all in my sinuses which is making it so hard to write...but the show must go on as I have these beautiful polishes to show you. I was contacted by Gerrard International to see if I would like to review the new colour collection from Jessica called The Truest Of The Blues Duo. Gerrard International provide professional beauty products to UK spas, beauty salons and mobile therapists. 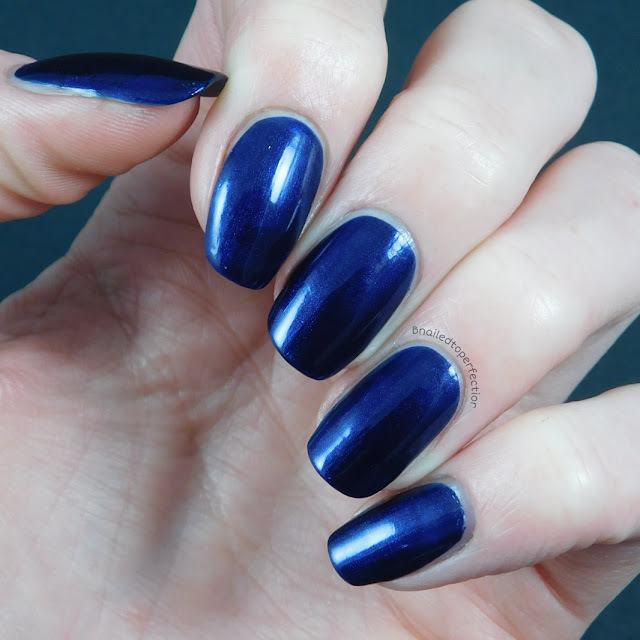 First up is Blue Moon which is a navy blue shimmer. This is like a jelly polish but I was very pleased to see that it was opaque in just two coats. You can't really see the shimmer in the picture but I promise you it's there and it's very pretty. Two coats without top coat. 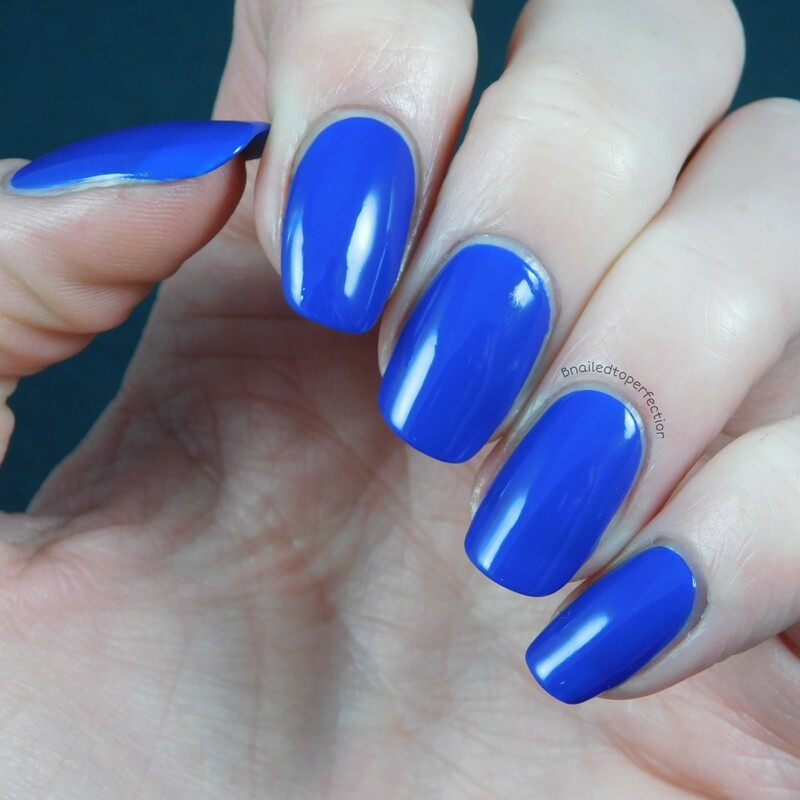 Blue Skies is an electric blue creme and boy does it apply nicely. I personally prefer to use thin coats so this was opaque with three thin coats but you could probably get away with two. Three coats without top coat. I was inspired by the packaging to do this design. 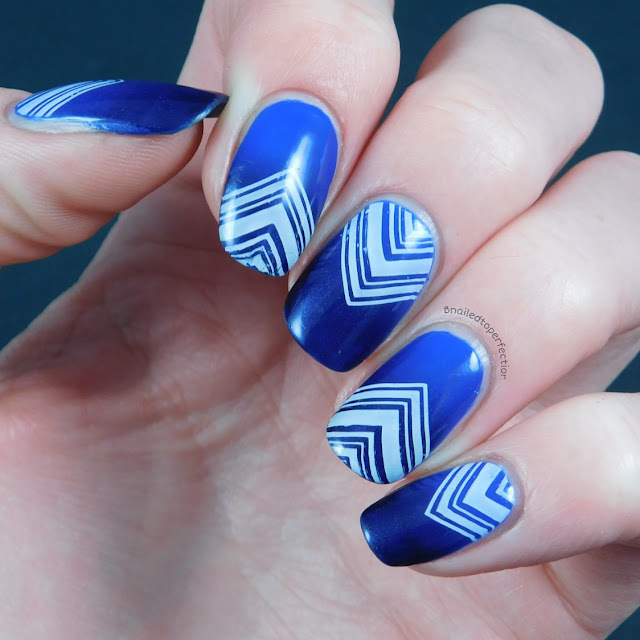 Blue Skies was my base and then I sponged on Blue Moon to the tips and blended them in the middle to make the gradient. 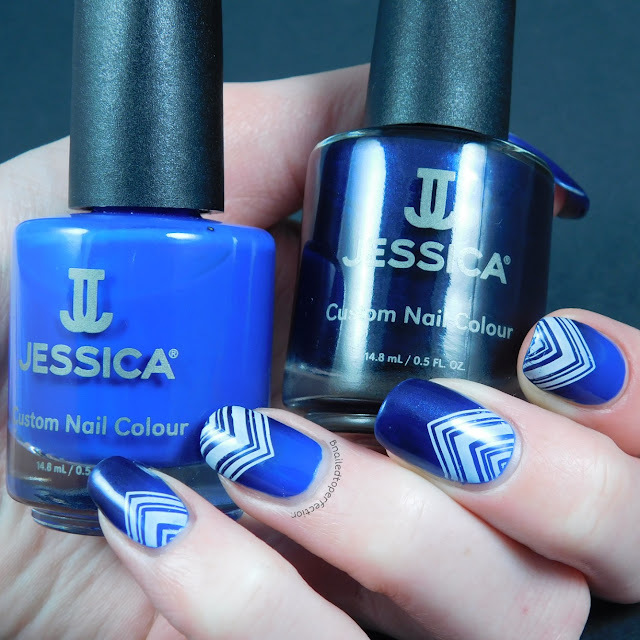 The stamping was from Uber Chic plate 3-02 and I used Dashica stamping polish in white. I also used my clear stamper to get the placement I wanted. I've never used Jessica before so I wasn't sure what to expect but they apply so nicely and I can see why they are used in the professional industry. I would highly recommend them to anyone. 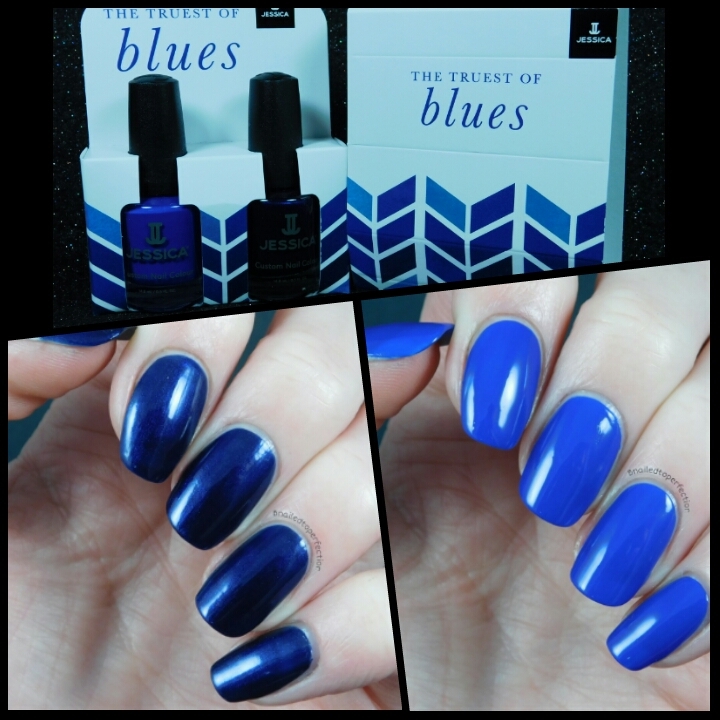 The Truest Of Blues Duo retails for £15.95 which I think is a great prices for two 14.8ml bottles of polish. 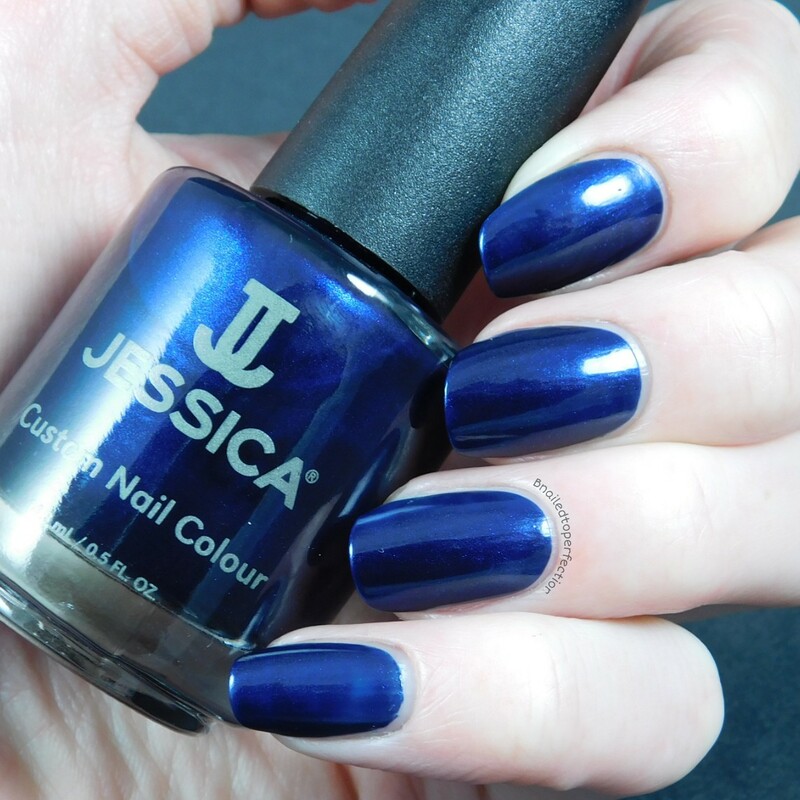 Have you tried Jessica before? What do you think of the look I created? Midi Rings - Lady Queen Review.